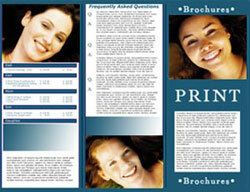 The perfect solution for presentation& promotional work. A practical way to organize business proposals, press kits, company or product literature, conference handouts and much more. 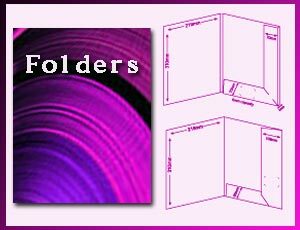 Folders have 4-color printing on the outside. Inside, you choose either blank, printed with black ink, or 4-color process.